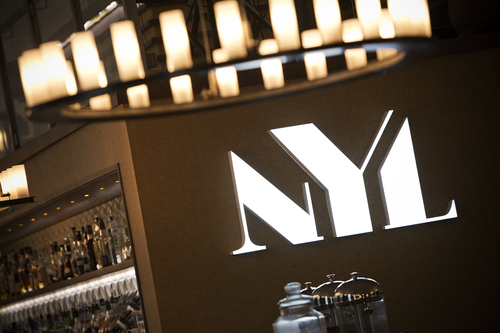 Inspired by the melting pot of food & culture in New York, NYL brings the best aspects of New York’s unique vibrancy to the centre of Liverpool. 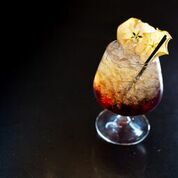 Set within the stunning surroundings of the former Royal Insurance Building, restored to its former glory, we’re offering an exciting mix of modern food, expertly mixed cocktails, service with personality and a spectacular setting to meet with friends by day or by night. 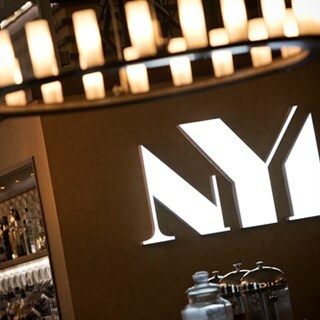 With a DJ&Sax each weekend with great food and drink offers all week long, cocktail masterclasses and a VIP Mezzanine Bar perfect for private events, make NYL your destination choice! The brand new New York Afternoon Tea is served Wednesday to Sunday 12.00 pm - 17.00 pm and is made up of a selection of homemade sweet and savoury treats inspired by the Big Apple. The best Afternoon Tea in Liverpool! Attended for bottomless gin brunch, staff quickly attended to us and our glasses where never empty for long. Lovely food off menu and great friendly atmosphere too. Thank you for a lovely evening - staff were very attentive, food and atmosphere was great. This is our 4th year doing grand national with NYL, each year we have a lovely day however I wish it could be more about the races. The volume on big screen is kept really low until we requested it to be turned up, and the position of big screen is always caught in the light from big windows so poor viewing. 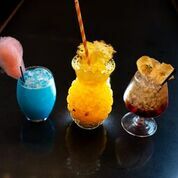 You said there would racing posts and there was none, these are just small complaints as The food was delicious, drinks were good and the service we had was fabulous from the most gorgeous and helpful staff. Please just make it more about the racing, it could be a huge day for the business. i booked mothers day for my family and food was great and the services was excellent. We were deeply disappointed by our Mother’s Day experience. Having had an outstanding meal at NYL in January I couldn’t wait to return but the food was substandard- burnt puddings served with a long delay and had to be sent back, roast dinner was dry and lacking in flavour, and with an already limited menu from the a la carte, we were told some options were in short supply. Drinks orders were very slow, some forgotten which meant we focused more on catching the attention of staff than spending time together as a family. From a group of 8 the overall response was one of extreme disappointment. We fed this back to staff and our meal was discounted and we were told that with it being Mother’s Day they were busy. However, the restaurant was in no way full and from our point of view, the fact that it’s Mother’s Day is more of a reason to pull out all the stops and get the food and service right. This place has the capability of being brilliant- I hope they sort it out. Beautiful surroundings, excellent service, great atmosphere and a decent menu. It was a lovely afternoon from start to finish, thanks to all the hard working staff for making our experience such an enjoyable one. We had a really enjoyable afternoon. We had lots of gin and the food was delicious ! We booked to go again to go with our sisters ! We have been several times and it's been lovely each time, staff are very helpful and friendly. Food is delicious. Would absolutely recommend NYL to family and friends and we will definitely be returning. Excellent service, the staff were very helpful and friendly. The afternoon we had was amazing and great value for money. Will definitely be visiting again! A party of 7 of us thoroughly enjoyed the Afternoon Tea at NYL; the food was sublime, the service excellent- attentive and friendly, but not overbearing. I really enjoyed well put together afternoon tea- sandwiches, scones and sweet treats, none of which let the experience down. One of the top afternoon teas I have ever had, and good value for money too. The restaurant itself had a lovely relaxed atmosphere, within a bright and open space with a grand but comfortable setting. Even the music was well matched! Will be returning to sample to cocktail masterclass as we were all all-round impressed. Thank you! Was a lovely place, first time here and would definitely go back again, the atmosphere was good, the staff were lovely and helpful and the food was lovely, would definitely recommend to a friend. Lovely food and lovely cocktails, steak cooked perfectly, love the atmosphere not too lively but still upbeat. Only downfall is the servers can be slightly rude and impatient. Would highly recommend gin brunch, great place, service and food.